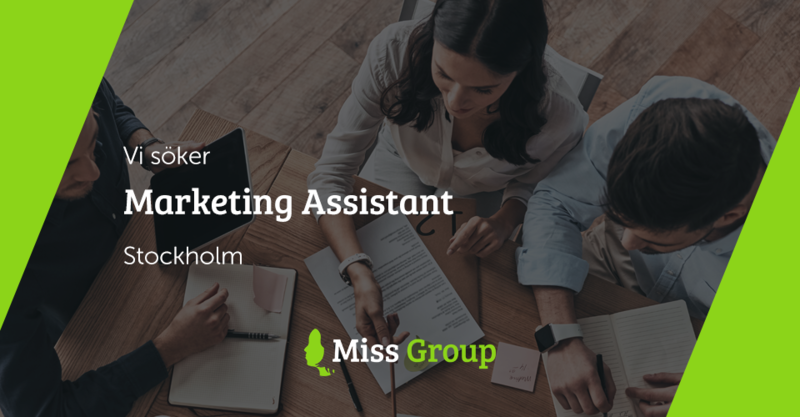 Vi söker en driven Marketing Assistant med passion för onlinemarknadsföring och enastående kommunikationsförmåga som är redo att göra varumärkena under Miss Group ledande inom digital marknadsföring. • Ansvara för våra sociala medier inom Miss Group samt hantera publicering och utskick om aktuella erbjudanden och kampanjer. • Skapa en sociala medier strategi och plan att sedan genomföra för våra olika brands inom Miss Group. • Skapa och publicera content. Både organiskt och sponsrat innehåll. • Öka engagemang, följare och konverteringar. • Ansvara för uppföljning, rapportering och analys av genomförda marknadsaktiviteter. • Övervaka och svara kundärenden på sociala medier. • Har en gymnasie- eller motsvarande yrkeshögskoleutbildning. • Talar och skriver flytande svenska och engelska med god förmåga att skapa content / Innehåll. • Har stor kunskap av sociala medier och e-postmarknadsföring och har arbetat med de flesta stora sociala medier som Facebook (Business Manager), LinkedIn, Instagram och Twitter. • Kunskap i Adobe Photoshop. • Har passion för digitala trender och teknisk utveckling. • Är innovativ, proaktiv och kommer kontinuerligt med nya idéer och lösningar. • Har kunskap i Google Adwords och Analytics. • Van att arbeta självständigt – Frihet under ansvar. • En ”doer” som ständigt kommer med nya initiativ, idéer och lösningar. • Van vid högt tempo och snabba vändningar beroende på situation. • Drivs av att kunna optimera och se försäljningssiffrorna ticka uppåt efter en genomtänkt kampanj eller aktivitet. • Van att skriva rapporter och ta fram statistik från diverse verktyg. • Har ett naturligt “Always online” tänk. • Har lätt för att lära dig nya program / publiceringsverktyg. • Ett naturligt ”Teamwork” tänk. Miss Group grundades 2014 och är en internationell webbhotells-grupp som erbjuder en rad Hosting-tjänster till förmånliga priser som Webbhotell, Domänregistrering, VPS, Dedikerade Servrar, Sitebuilder, SSL-Certifikat, SEO-verktyg, Webbsäkerhet och Domänhantering. Företaget har kontor i Manchester, Stockholm, Miami, Phoenix och Sofia. Den aktuella tjänsten gäller för vårt kontor i Stockholm. Som Marketing Assistant kommer du att marknadsföra Miss Group som en helhet men även på individnivå för våra varumärken Miss Hosting, StableHost, Hemsida24, Heymo och NameISP. Rapportering sker till företagets Marknadsansvarig och CEO. Miss Group now offers customers the opportunity to secure their domain with premium DNS. Name ISP (a subsidiary of Miss Group) and Excedo Digital Management have collaborated for ten years. To strengthen the partnership, Excedo’s global DNS service – Excedo Premium Anycast DNS – will now be available by just a click at Name ISP. It will also be available for the other brands that are part of Miss Group. “Now, customers can secure their domains by simply placing an order for an upgrade directly in our control panel,” says Frei Leufven, CTO of Name ISP. Excedo Digital Management Services (a subsidiary of Excedo Networks AB) started a collaboration with NameISP.com in 2008. Both companies are technology organizations with specialists that place high demands on both security and operation, and they complement each other well. Excedo Networks AB is an Internet service provider focused on data security and data communications, where Excedo Digital Management Services works to provide digital services and the entire value chain in digital presence and identity. Name ISP are domain experts which goes hand in hand with data security and data communication, to work optimally. Frei Leufven believes that the cooperation between the two companies is more important now than ever before. “The security requirements have increased, and the more domains we handle, the more we end up in a position where we have a responsibility of a socially critical function. We have had to raise the bar for secure DNS and that’s why we chose to turn to Excedo for a deeper cooperation“ says Frei Leufven. Name ISP is one of Sweden’s largest domain registrars and most known for their domain registration services. They are a certified registrar of TLD’s and manage all domains under the same roof whether it’s .se or .com, or something else. The enhanced collaboration now leads to the ability of Miss Group’s customers to access Excedo’s premium service, through Name ISP. The Excedo Premium Anycast DNS service is one of the strongest in the market today, and is used by customers in, for example, public administration and municipalities. By clicking in the Control Panel of Name ISP, customers receive an upgrade that secures their domains, while low price prints are promised. “It is now a lot easier for customers to upgrade, and to buy a secure and safe service beyond the usual. Most people know that they need to upgrade, due to the increasing security requirements, but they assume that a DNS re-delegation can lead to downtime. With our integration, the order is really easy, and Excedo’s DNS experts take care of everything behind the scenes without any disturbances,“ Frei Leufven continues. As long as a website or intranet works properly, it’s all peace and joy. It’s when there is a crisis or something unpredictable happens that you notice how good your system is. Frei Leufven believes that for customers, an upgrading of the system is like signing an insurance policy. “As a customer, you have to understand that you need to upgrade, even if everything works today. Because when an accident occurs, you want everything to be resolved quickly and easily,” says Frei Leufven. The collaboration between Excedo Digital Management Services and NameISP.com will make it easier for our customers toupgrade their systems, ensuring that everything is safe. Michael Duffy, CEO of Excedo, looks forward to the continued cooperation. 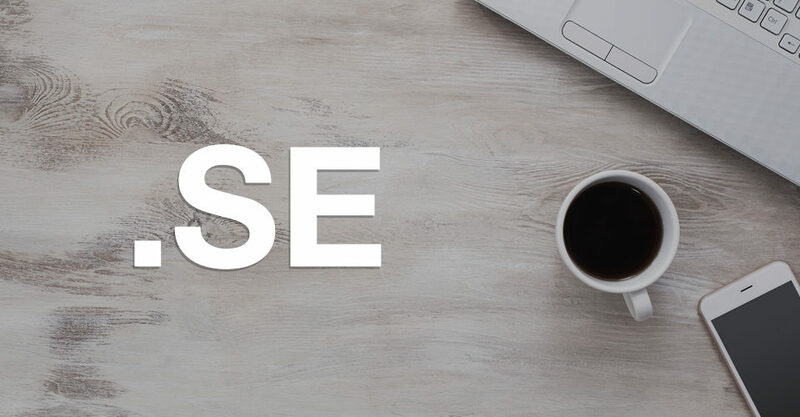 ”Name ISP is the leading provider of domain-related services through its ability to easily register TLD’s from all over the world. Through expanded collaboration, Name ISP’s customers gain access to Excedo Premium Anycast DNS service with 100% SLA and access to DNS expertise in the area. If you run a business critical company, Name ISP’s customers get an opportunity by upgrading from a Standard DNS to Excedo Premium Anycast DNS service,“ Michael Duffy concludes. 1) Access to a global DNS service, with 57 POPs globally across all continents. 2) 100% SLA on name resolution, always available. 3) Extreme redundancy distributed over several autonomous systems. 4) Access to experts and specialists in DNS. 6) Everything integrated into the same control panel. 7) A low price for a strong service (99 SEK). Name ISP is an ICANN-accredited registrar that registers all the world’s top-level domains directly through the website. Name ISP also offer Premium DNS and Domain Management, for those who want to gather all your domains in one place. Name ISP has been active since 2003 and is specialized in global domain registration and support. Excedo Digital Management Services helps organizations to secure and protect their brands and company names traditionally and digitally. In combination with technical operation-, security- and monitoring services, we enable control, availability and protection for the company’s digital presence and identity as well as brands. Through our strong customer focus and strive to develop and offer services at the forefront we want to be the obvious choice for customers, co-workers and partners. 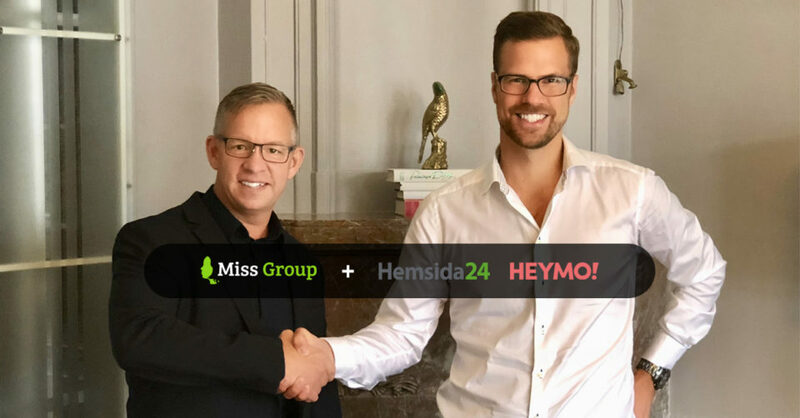 BGF-backed Miss Group has acquired Hemsida24 along with its sub-brand HEYMO. Hemsida24 is an internet-based sitebuilder for websites and e-commerce and has delivered solutions for small and medium-sized businesses in Scandinavia since 2008. The strategic acquisition consolidates Miss Group’s position as one of the leading web hosting provider for SMB companies in Scandinavia. Founded in 2014, Miss Group is an International Web Hosting Group that offers a range of Hosting related services at favorable prices such as Web Hosting, Domain Registration, VPS, Dedicated Servers, Sitebuilder, SSL-Certificate, SEO Tools, Web Security and Domain Management. 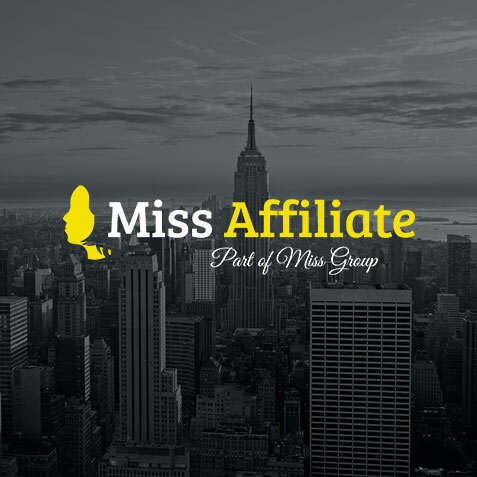 Miss Hosting is also an ICANN-accredited Domain Name registrar via NameISP. The company is headquartered in Manchester, UK. Hemsida24 is an internet-based sitebuilder for creating websites and e-commerce. You get professional results while you have full control and can update the website from any computer. Today, more than 14 000 Swedish companies use Hemsida24 and HEYMO’s website tool to build, manage and customize their websites. High-growth Miss Group, a web hosting company, has received a £6.4m investment from BGF to accelerate its international expansion strategy. The group will use the funding to build further scale through driving organic growth and acquisition of web hosting companies in new and existing markets. 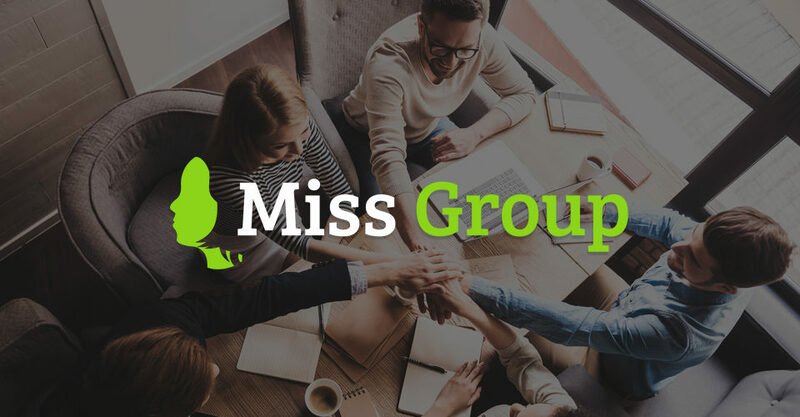 Founded by serial entrepreneur Mattias Kaneteg and headquartered in Manchester, Miss Group provides a range of services predominately to SMEs, including domain registration, site building, website hosting and email management. Since its launch in 2014, the group has opened more than 70,000 accounts, established offices in Stockholm, Miami and Sofia and have also acquired two businesses in the UK and USA with the assistance of Manchester-based Corporate Financiers, Sedulo. 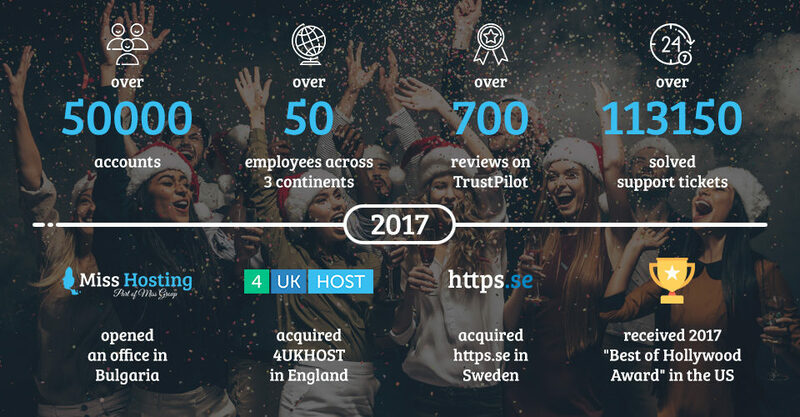 Miss Group now employs more than 50 people globally and has developed a reputation for high quality customer service with a 9.8 rating on TrustPilot. To further support its buy and build strategy, Miss Group has appointed Phil Male as Non-Executive Chair following an introduction by BGF. Phil is a former Chair of UK2 Group and previously served as Chief Strategy Officer at Cable & Wireless Worldwide. He is also Chair of BGF-backed Virtual1 and has successful built and exited multiple businesses in the technology sector. Mattias Kaneteg, founder and CEO of Miss Group said: “We have moved at pace to add scale to our platform, improve our market share and increase our global coverage. Now that we have an established model and highly successful marketing campaigns which have generated strong organic growth, we are in a strong position to accelerate our expansion through acquisitions. Pinesh Mehta, an investor at BGF who will join the Board of Miss Group said: “With a proven track record in building successful businesses, Mattias and his team have quickly scaled Miss Group by attracting and retaining a high volume of customers. This is testament to the group’s model, relationships with customers and partners, and focus on high-quality service. The investment in Miss Group was coordinated by Stuart Dutton of Sedulo, and led for BGF by Pinesh Mehta, Rhys Davenport and Neil Inskip who are part of the Manchester-based team covering the North West. The team recently announced investments in the owner and operator of Albert’s Schloss and Rudy’s Neapolitan Pizza, Mission Mars, and digital mapping company Gaist. BGF is the most active and influential investor in small and mid-sized businesses in the UK, with £2.5bn to support a range of growing companies – early stage, growth stage and quoted – across every region and sector of the economy. In Ireland, BGF has an additional €250m to support Irish SMEs on a similar growth path. BGF makes long-term equity capital investments in return for a minority stake in the companies it backs. Initial investments are typically between £1m-£10m followed by significant follow-on funding as required. BGF is a minority, non-controlling equity partner with a patient outlook, based on shared long-term goals with the management teams it backs. With a specialist internal team of over 150 people, combined with an unparalleled international network of business leaders, sector experts, and board-level non-executives, BGF has a unique platform and capability to support growing UK and Irish SMEs. This is further reinforced through dedicated in-house support with Chair and senior executive selection and appointments provide by our Talent Network, now some 5,000 strong. BGF invests off its own balance sheet allowing it to offer truly flexible investment structures with a mix of equity and loan notes as appropriate. 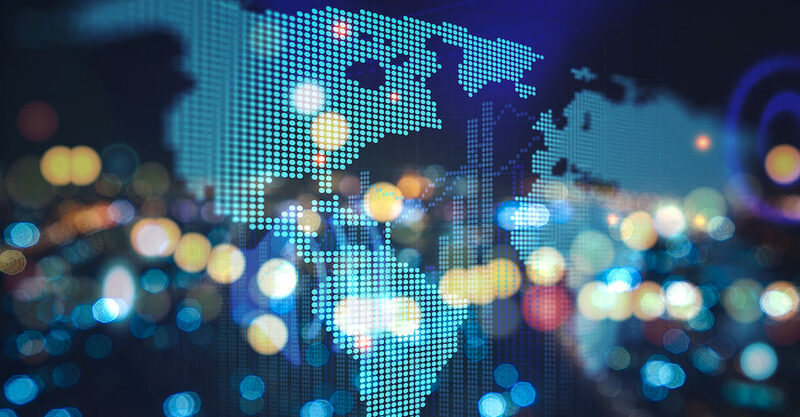 BGF can also provide equity release for existing shareholders, and funding to support acquisitive and organic growth strategies at home and abroad. 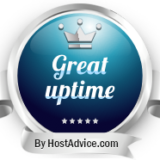 We are very exited to share the news that we have been rewarded for “Great Up time” by HostAdvice. Google says security should be so normal you don’t see it. But bad security should be in your face. 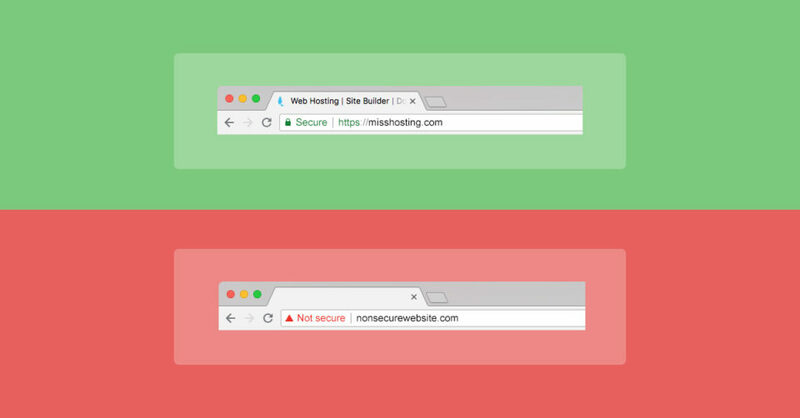 Today when you visit a HTTPS website on Google’s Chrome browser, a green security lock is shown telling you that you’re visiting a secure page that’s encrypted and protected from cyberattacks. Google’s goal is to make sure 100% of the internet is HTTPS. By May 2018, 83 percent of websites visited by people browsing on Chrome were HTTPS. It’s gotten to the point for Google where you’re much more likely to visit an HTTPS page on Chrome than a HTTP (nonsecure) page. In other words, people understand the importance of having a secure website and if something is the norm, you don’t need a label telling you that everything is normal. Therefore in september, Google will remove the “Secure” label and will eventually stop displaying the lock, too. With this update, Google makes it clear that having HTTPS is the norm and not having HTTPS is not, which means that they will display even more warnings when a website is not using a SSL-Certificate – A warning icon and “Not Secure” label in the URL bar. This will start showing in October. Miss Group invests in local hosting, which allows customers to choose where their data should be hosted. In addition to Stockholm, they have data centers in Amsterdam, Arizona, Chicago, Phoenix, São Paulo & Singapore among others. I och med att IIS efter årsskiftet höjt priset på SE domäner så har även vi höjt priset – men endast för förnyelser. Från 99kr till 109kr. Att registrera en .SE domän kostar som tidigare 99kr. Att förnya en .SE domän kostar numera 109kr. För mer information om detta, vänligen kontakta vår support.